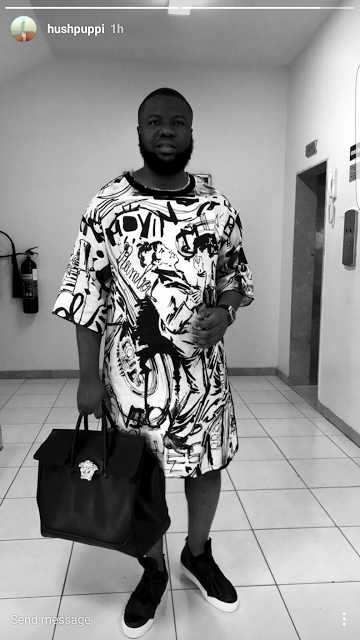 The Malaysian based Nigerian who just recently recovered from overdose of alcohol after having being hospitalized, stepped out weaing a midi dress which normally a woman would rock. Obviously the cute big spender has turned deaf ears to people who criticize him for wearing 'feminine' clothes. Men would you rock this dress?